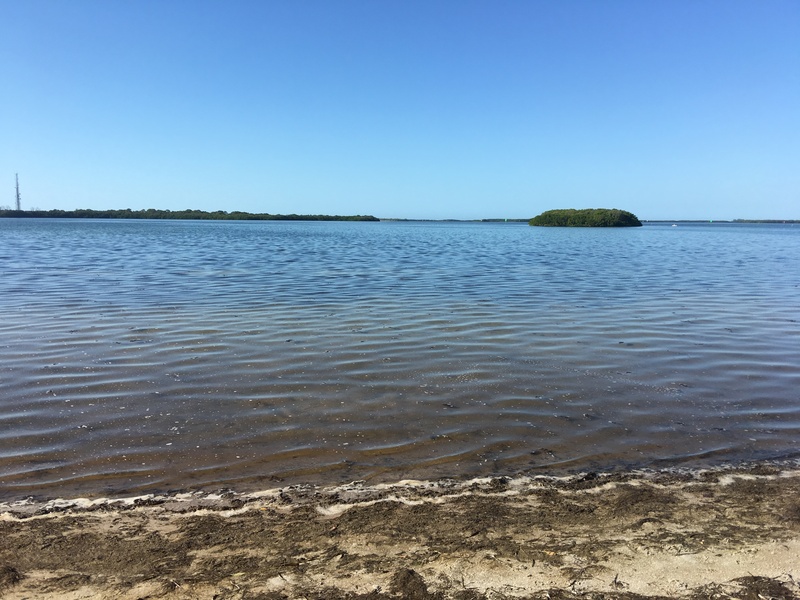 This campground sits within beautiful Ft. DeSoto Park, a Pinellas County park. We arrived on Tuesday afternoon and, as expected, there wasn’t much traffic, so we got to the campground pretty quickly, which is right off the main road running into the park. Oh no! You're using an ad blocker. We would appreciate it if you would disable your ad blocker on our site. We display links to the products we write about to help us pay for hosting this site. Since we do not currently tow our car, Amber and Christopher followed in our car while I drove Irving the 30 miles to the campground. Checking in was a pretty quick. I pulled Irving in front of the office while Amber and Christopher checked in. They were in and out in about 10 minutes. Amber drove the car to the campsite while I navigated to it, but finding my way to the campsite was a hair raising experience. The map was a little confusing and I ended up driving our 36.5 ft. motorhome to the south end of the campground, which is for vans, pop-ups, and tent camping only…no RVs permitted. 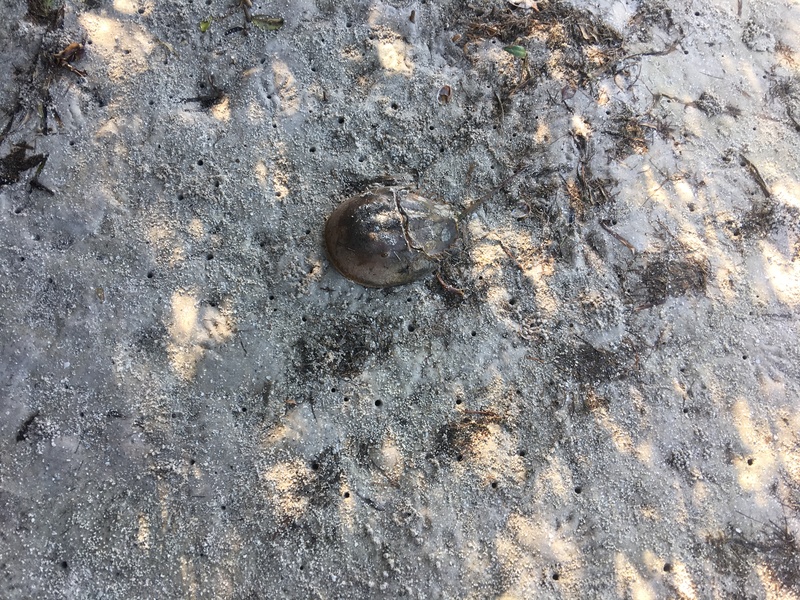 I could not believe that I made it through that end of the park since the roads were extremely narrow, but I finally made it to the north end of the campground and our campsite. The site is back in and with the incredibly narrow roads, it was pretty difficult to get in the camp site. The camp site (223) is very level gravel and our automatic leveling jacks had no problem leveling quickly. The services included at the site are 30/50amp electric and fresh water (1 spigot). For dumping, there is a dump station, but no sewer connections at the campsite. There is no cable TV, so you will have to rely on what you pick up from your over the air (OTA) antenna, if you have one. 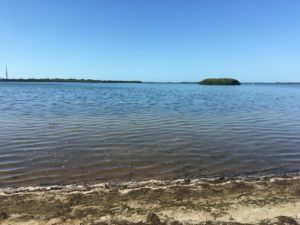 The county parks we have researched in Florida are pretty much no frills and this was no different. It is all about getting away here. There is a picnic table and a grill at the campsite. We brought charcoal so we could cook hot dogs and s’mores and it was great to have the heat of the fire since the nights were cool while we were there. There was not a lot of light pollution and we could see the stars very well. I was on vacation during the Christmas holidays, so I didn’t need to work during this trip. There is no public WiFi in Ft. DeSoto, so your only option is cellular. We have AT&T cell service and we could get a signal, but it wasn’t very strong. This is definitely a good place to get away from technology and spend time with nature. If you absolutely need WiFi, there are plenty of businesses outside the park, close by to poach from. Ft. DeSoto has beaches, kayaking and canoeing, bike trails, a historic fort and much more. There is more to see in the Tampa Bay area, but this campground could be a destination in itself. We were told a few times that this park was amazing for camping and it was true. If you’ve never been to Ft. DeSoto, it is an absolutely must camping destination. There are buildings that we assumed were shower and bathroom facilities, but we didn’t use them this trip. We can’t comment on their cleanliness. 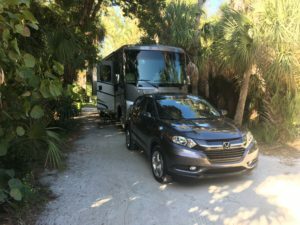 We very much enjoyed our stay at Ft. DeSoto Campground. 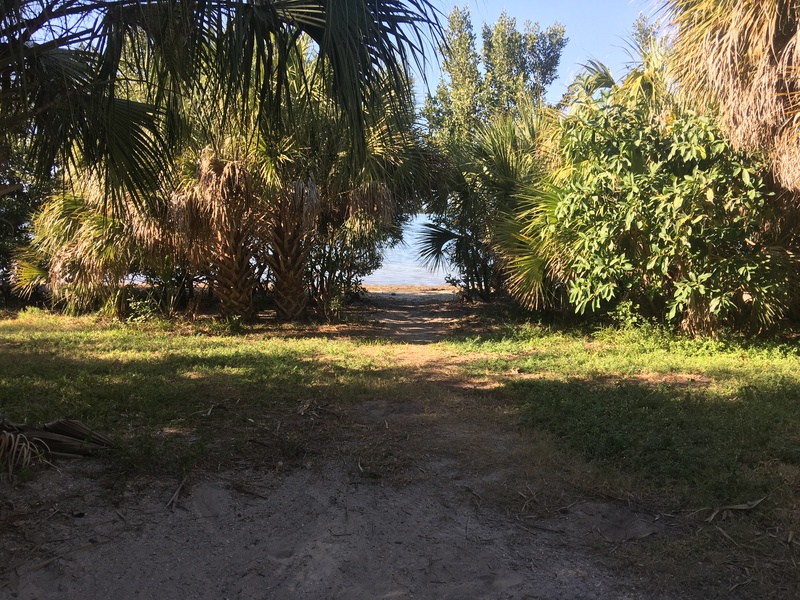 Our campsite was tucked among mangroves and palm trees and great views of the Gulf of Mexico. It is very close to home and we would definitely stay there again.